Thanks for all of the interest in our Mixology workshops! 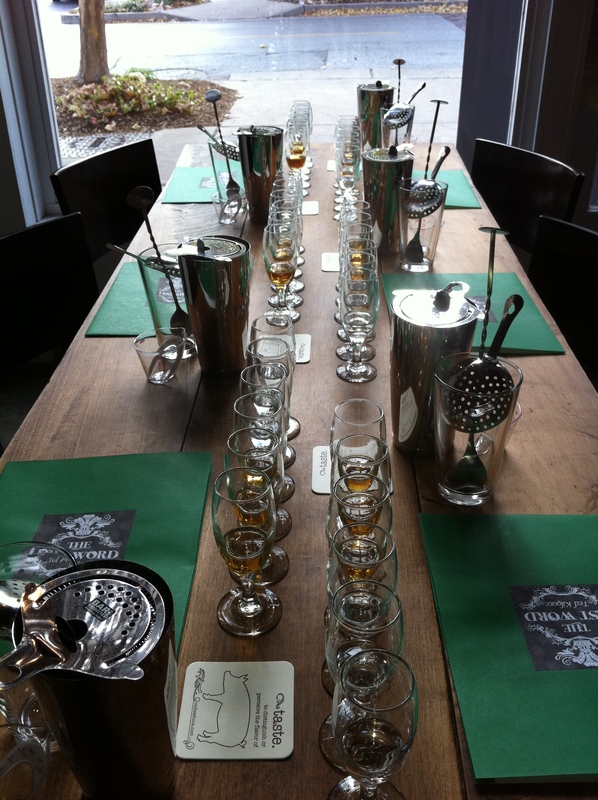 In the last 3 years we have had the pleasure of teaching 150 or so eager students how to shake, stir, taste, and create their very own tasty libations. To say they have been a success is definitely a understatement. 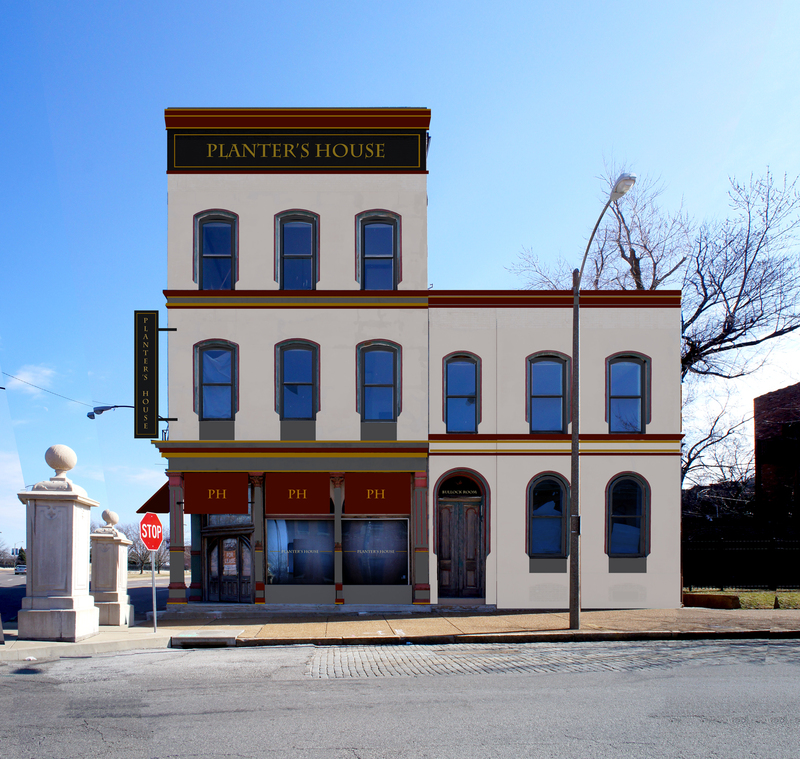 In case you haven’t heard, I will be opening my first bar and restaurant called Planter’s House very soon. We will be resuming the workshops ASAP after open. If you are interested in the class, send me a email via this site and we will add you to our mailing list to alert first. Workshops include,a bar kit for you to take home, sample tasting of cocktails and spirits. Hands on methodology of stirring, shaking and cocktail creation. The classes are on Sundays from 1-4ish All of this is $85 a person and we can do groups of up to 10 people. We are very much looking forward to starting sessions again and will be adding new classes in the fall. 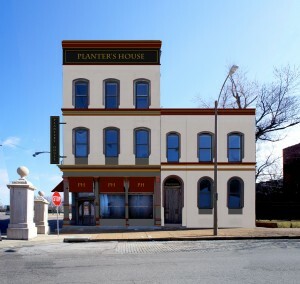 See you at Planter’s House! Taste the cocktail that could send Ted Kilgore to Spain. As you may or may not know, this past July my wife Jamie & I were fortunate enough to be Cocktail Apprentices at the Tales of the Cocktail, an annual festival of cocktails, cuisine, and culture held in New Orleans. I think I’m still recuperating from the whirlwind of that week, which I could tell you all about, except that all I can think about right now is Bourbon and Rye. You see, tomorrow I will be embarking on a pilgrimage to the Bourbon Trail in Kentucky. Jamie & I are meeting up with some of our fellow CAP’s (that’s C.A.P. for the Cocktail Apprentice Program in case you were wondering) to tour distilleries and celebrate the wonder that is Bourbon. There’s nothing quite like enjoying a nip of Bourbon or Rye, especially while being surrounded by like minded cocktail geeks. I’m looking forward to finding inspiration for new cocktail recipes while I’m there, and I’m willing to bet that the other CAP’s feel the same way, too. I’ll be sure to update you soon with my Tales of the Trail, but in the meantime, here’s a great variation on a classic Manhattan that you might consider enjoying. Incidentally, this was my first nationally published cocktail back in April 2006 in the “Malt Advocate”. For the straight rye, I’d recommend trying this with Pappy Van Winkle 13 yr old or (ri)1 whiskey. Rinse a chilled cocktail glass with the maraschino liqueur, and discard the excess.Stir the remaining ingredients and strain into the prepared glass. Add the garnishes. Enjoy! 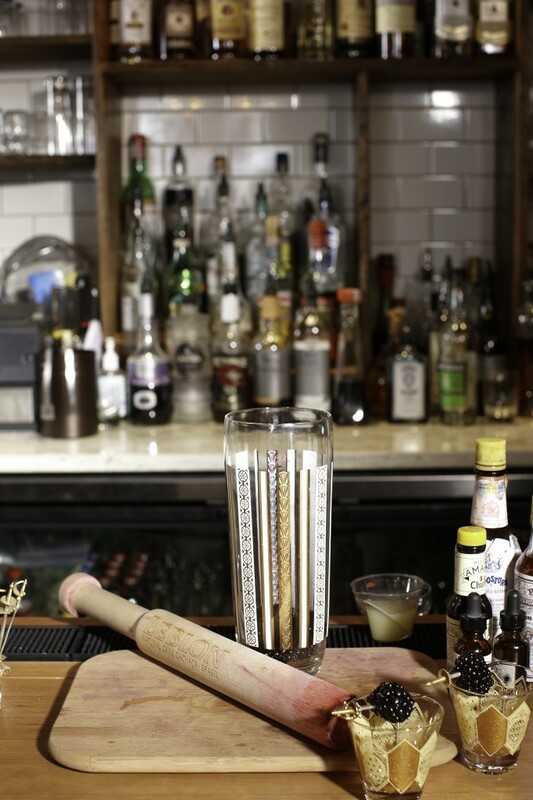 Have you been scratching your head, wondering how the heck to create your own great cocktails? Well, now’s your chance to learn the secrets of shaking, stirring, and muddling your way to delicious original creations. I’m happy to announce that I will be holding Mixology Workshops on Sunday November 14 and Sunday November 21 from 1-5pm. Seating is limited to 8 people per class, so please contact me at ted@lastwordcocktails.com as early as possible to ensure your spot! This interactive Mixology Workshop will provide you with your own basic bar kit, training in cocktail methodology, the process of creating cocktail recipes, and the chance to get behind the bar with a professional mixologist! The cost is $80 per person, and the classes will be held in the current Taste location at 1831 Sidney Street. And in case you haven’t already figured it out, there will be some tasty libations consumed in the name of learning. 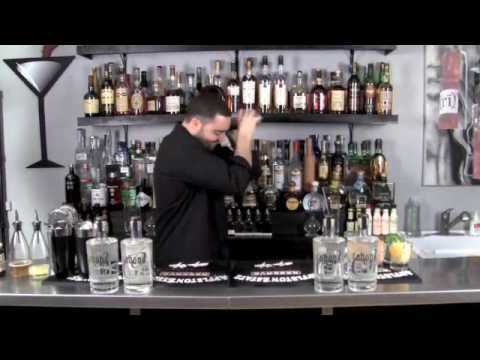 Here is a video of Tim Cooper making one of my drinks! 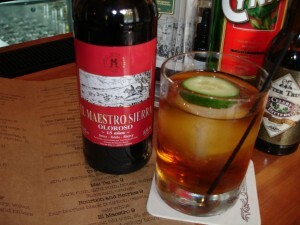 You can still try this one at Modeso or Taste. Working at Taste by Niche continually proves that necessity is the mother of invention. I often get requests for drinks based on flavor profile or base spirit–especially now that I have a “Bartender’s Choice” listed as an option on the drink menu. I usually ask what they like to eat, what they normally drink, what kind of mood they’re in. This is my mini interview. I use it to get a feel for your general palate and its preferences. Usually it’s a simple “I like to drink beer/red wine/eat steak, etc”. Occasionally, however, I get surprised by my requests and by what I find in my mini interview. Heck, once I had a lady ask for a drink to make a poet fall in love with her. That was an interesting challenge. And just last week, I got a request from a regular guest of mine who I shall refer to as “David” (mostly because his name actually is David), to make him a drink in the short glass. This was my first experience of a drink request based solely on glass preference alone. Oh what a fun challenge! Now “David” comes to my bar with fair regularity, so I already knew that he liked tart and savory, usually with tequila or gin. After staring at my bottles for inspiration for a moment or two, I found myself reaching for both the gin and tequila simultaneously. Could this be the perfect opportunity to mix the two in one drink? You bet your short little glass it is. 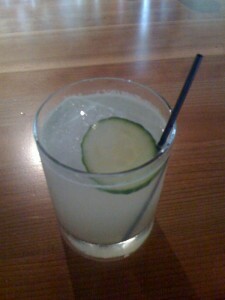 In a mixing glass, muddle 2 cucumber slices.